Mallory Graham is returning home to the heat and vines of Southern California in search of the peace she can’t find in the city. 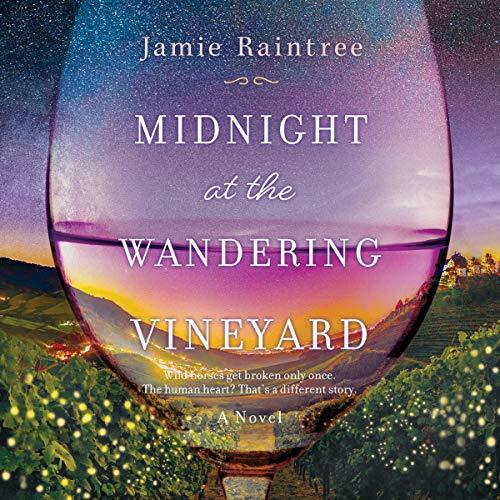 Her parents’ vineyard is an escape for tourists but full of mixed memories for Mallory. It may also be the one place she can find the forgiveness she seeks. But can things ever go back to the way they once were - in the days before that long, hot, heartbreaking summer? Growing up, it was Mallory and Kelly. Kelly and Mallory. Nothing could come between them. That summer before college, bucket list in hand, they greeted every sunrise and chased every sunset. Tattoos - check. Sleeping under the stars - check. But when Mallory met Sam, everything changed. Older, experienced, and everything Mallory never knew she wanted, Sam was her first taste of love - and the one adventure Mallory didn’t want to share with Kelly. But Kelly had her own secrets, too, until the night tragedy struck and their perfect summer - and their friendship - unraveled. Now, after 10 years away, Mallory is home and determined to make amends. No more secrets, no more half-truths. As Kelly slowly lets her guard down, Mallory convinces her to complete their unfinished list of hopes and dreams. But Mallory’s not the only one back in town, and when Sam reappears, Mallory risks making all the same mistakes - and maybe a few new ones - to try to heal that which was broken.